World Travel Awards has recognised St Petersburg’s potential for tourism growth, arguing the Russian destination has a bright future on the international hospitality stage. The city earlier claimed the title of the World’s Leading Cultural City Destination at the World Travel Awards Grand Final 2016. The event took place at The Sun Siyam Iru Fushi in the Maldives with hundreds of industry leaders in attendance. Andrey Mushkarev, Chairman of the St Petersburg Committee for Tourism Development, said: “St Petersburg is now at the peak of its popularity. The city has won the most prestigious award in tourism. “The northern capital of Russia hosts a large number of cultural and business events each year and this is recognition of our growing significance in hospitality. A global cultural centre, St Petersburg is more than just home to the Hermitage Museum and the Kirov Ballet. With an exceptionally rich history, centuries-old traditions and a bright future, this fascinating destination is built on more than 45 islands and has been modelled in the French style by some of the world’s great architects. World Travel Awards President Graham Cooke said: “It will be an honour for World Travel Awards to visit for Russia for the first time in 2017. “St Petersburg is one of the most famous cities in the world and this is a fantastic opportunity for the city to take its rightful place as a top rank tourism destination." The news comes at an exciting time for St Petersburg, which will itself welcome the World Travel Awards Europe Gala Ceremony in summer 2017. The ceremony is one of a large number of important events on the horizon, with the FIFA Confederations Cup also set to visit St Petersburg next year. In 2018, the sporting capital will also welcome the biggest event of them all, the FIFA World Cup, when Russia plays host to the competition. 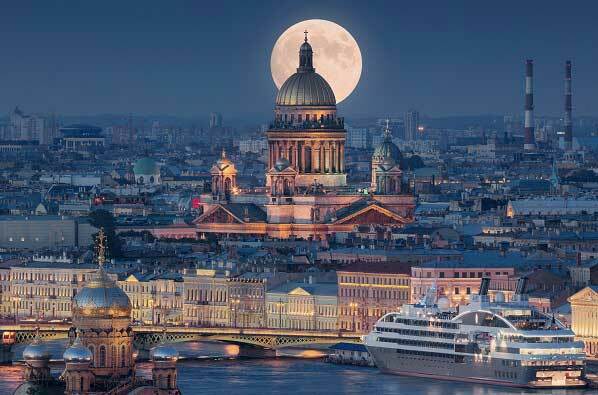 Lev Kuznetsov, Deputy General Manager, St Petersburg Tourism Information Bureau, part of the government of St Petersburg, said: “Our city is the cultural tourist capital not only of Russia but of the world. “The cultural heritage of our city is the heritage of the entire world. “This award is a great Christmas present for all of St Petersburg’s citizens and all Russians. “At the same time it is a warm invitation to visit our wonderful city during this Christmas holidays. “Next year promises to become the top year for the number of visitors in St Petersburg. “I am sure that a visit to our city for everyone will become one of the most memorable experience in life. Download the World Travel Awards logo here or find out more here.